Taking Care or Quashing Rival? In the case of Google Voice, some observers suspected AT&T had squelched the software because it feared competition for its own voice services. In questioning the companies, the FCC cited pending proceedings at the agency concerning open access to wireless networks and exclusive deals between handset makers and carriers. Apple told the FCC that Google Voice hasn't been approved because it appears to replace the iPhone's core phone functionality and user interface with its own interface for phone calls, text messaging and voicemail. The application also transfers the user's Contacts database to Google's servers, "and we have yet to obtain any assurances from Google that this data will only be used in appropriate ways," Apple wrote. Apple said it alone makes decisions about whether applications are allowed on the App Store. However, AT&T told the FCC that as part of their iPhone partnership, "AT&T and Apple agreed that Apple would not take affirmative steps to enable an iPhone to use AT&T's wireless service (including 2G, 3G and Wi-Fi) to make VOIP calls without first obtaining AT&T's consent." Apple said it also respects AT&T's customer terms of service, such as its rule against using the cellular network to redirect a TV signal. Apple said it doesn't even know whether there is a VoIP (voice over Internet Protocol) element to Google Voice. 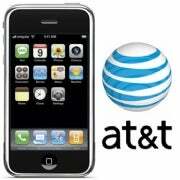 AT&T said it has talked with Apple about "a handful" of applications submitted for the iPhone. The companies discussed potential congestion caused by streaming audio services from Pandora and AOL, and Apple upgraded the technology used to stream the services. They also looked at whether a proposed streaming media service from CBS and MobiTV for the U.S. men's college basketball tournament would congest AT&T's network. CBS and MobiTV changed that application so its live video feature would only work over Wi-Fi. Asked to describe its approval process for Android applications, Google said there is an automated analysis to identify technical issues that would prevent the application being installed. It's up to the Android Market itself to police applications, and Google staff will review those that receive a certain number of "flags" from users. Google could remove applications if they violate the company's developer agreement or content policies. About 1 percent of all submissions have been rejected, mostly for impermissible adult content or copyright violations, the company said.